Boy, August sure came up quick and it's already almost halfway over. Where did the time go? 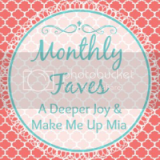 Today I finally had a chance to link up with Mia @ Make Me Up Mia and Kelli @ A Deeper Joy for their Monthly Faves link up. So I'm throwing it back to July for this Thursday, and sharing some of my favorite things. 1. and 2. bareMinerals Marvelous Moxie Lipstick in Speak Your Mind and Marvelous Moxie Lipgloss in Show Off. I love this pink combo! I'm not really a lipstick/lipgloss wearer, but I tried this combo out, and love it! The only downside is that they have a bit of gluten in them (Yes! Lipstick and lipglosses sometime contain gluten!). So I only wear these occasionally. The lipstick stays on forever, and the lipgloss has an added touch of minty/refreshing feeling to it, which I love. 3. Foodie Penpals. I participated in The Lean Green Bean's Foodie Penpals in July and it was so much fun! I had a blast selecting items to send to my penpal, and I loved all of the food items I received. Check out my review here. 5. Pool time. I got to spend some much-needed pool time with my gal pals in July. 6. Kombucha. I learned how to brew my own and I sure brewed a whole bunch in July. I'm addicted. Here's my tutorial on how to brew your own. 7. Essie Big Spender. I love this pink raspberry color. It's great for a summer-to-fall transition. I wore it for most of July. 8. I purchased my first pair of Corkys flip-flops! They are unbelievably comfortable and super cute! The footbed is super wide, so I feel like my toes can really spread out. And these particular Corkys are on major sale right now. 9. Last, but definitely not least, Josie Maran Argan Milk. This stuff is AMAZING. It feels so wonderful on my face, and gives me nongreasy hydration, which was perfect for the hot month of July. I love all of Josie Maran's products, but this stuff is my favorite. My beauty essentials from July. All this stuff looks awesome! I'll have to check out those flip flops. Love the Bachelorette! Julie, thanks so much for linking up!! Love your list! I need to try that Essie color...it's awesome! I'm jealous of your pool time...I haven't been to the pool a single time this summer :( My friend is learning how to make Kombucha too! Glad you had a great July! Thanks joining us in the monthly faves! 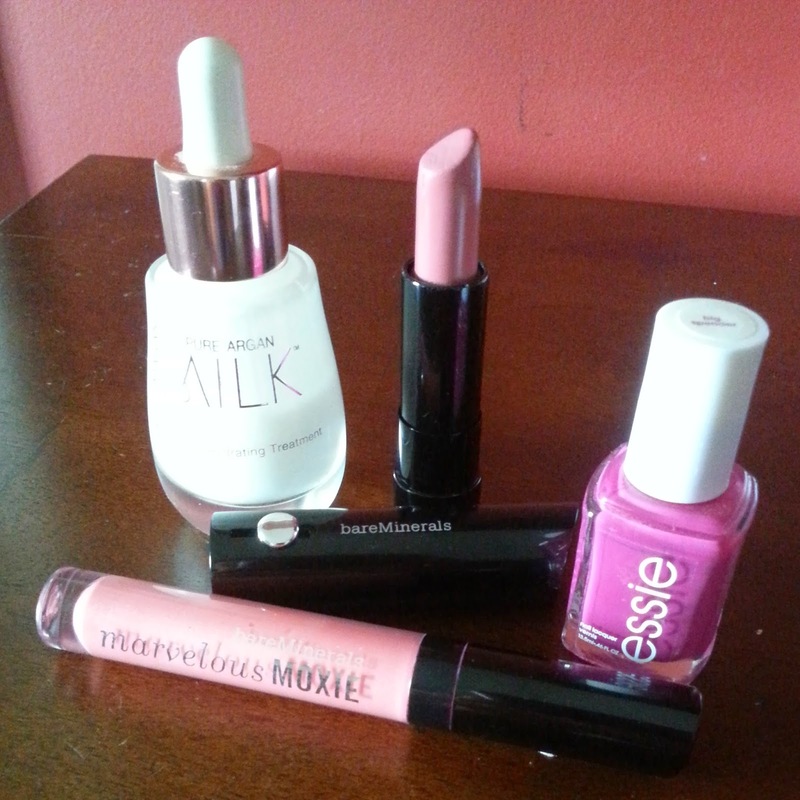 I want to try the lipgloss and I love the essie color! I need to link up my favorites too! Found you through Treat Yo Self Thursday! I have got to get my hands on that nail polish. Such a cute color! I've never really gotten into The Bachelorette (and the whole blogging world screamed in shock) :) I've never tried Corky's, but I have Sanuk's yoga mat flip flops that have changed my life. I also love argan oil - might need to try the milk as well! I miss having a pool for pool time!